Boils are localized infections that originate deep under the skin. As the blood cells gather to fight the infection, the boil becomes enlarged, inflamed and tender to the touch. Boils can be caused by bacteria that can find their way under the skin through hair follicles. Boils are often treated with antibiotics, or are lanced and drained in a doctor's office. A method that can be tried at home is treating the boil with tea tree oil. A study reviewed in the Letters of Applied Microbiology in 1993 states that tea tree oil kills germs and bacteria that do not respond to antibiotics. Tea tree oil's anti-fungal and anti-bacterial properties make it a good home treatment for skin conditions. Wash the boil area with warm water and a mild soap. Place a warm compress on the boil for 5 minutes before applying the tea tree oil. 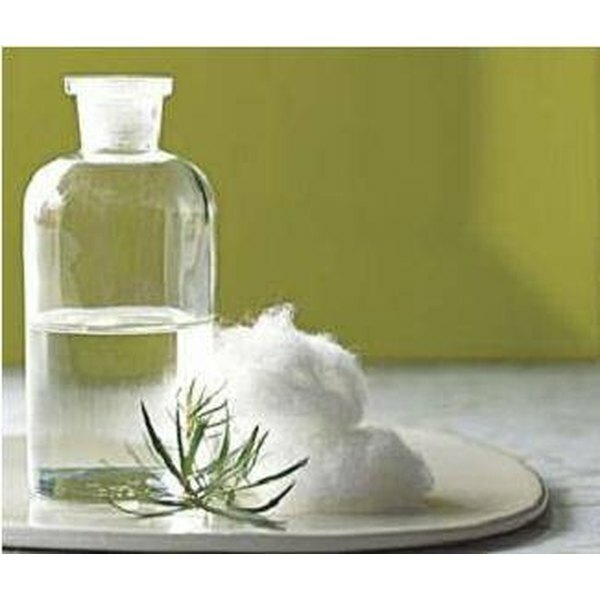 Put enough tea tree oil on a cotton ball to cover the boil. Apply the oil directly to the boil, and keep it in place for 3 to 10 minutes. You can apply the cotton ball to the boil, then secure it in place with an adhesive bandage if desired. Don't rinse the tea tree oil from the skin. Remove the cotton ball and rub in any excess oil. Repeat this process twice a day until the boil comes to a head. When the head of the boil is swollen and white, gently apply pressure to the side of it with a cotton ball soaked in tea tree oil. If the boil is ready to drain, it won't take a great deal of pressure to burst. If it doesn't open easily, it's not ready to drain naturally. Keep repeating the tea tree oil treatment until it comes to a head and erupts. Apply tea tree oil to the boil area for up to a week after it has drained to kill any residual bacteria. Test the tea tree oil on a small patch of your skin to make sure you don't have any reaction to it. If you find it burns, dilute it by mixing 1 part olive oil to 2 parts tea tree oil. If you apply the tea tree oil for 7 to 10 days with no results, consult your physician to see if your boil is so deep that it must be lanced. If you have diabetes, consult your physician before treating any skin sores or wounds at home. Carson CF, Riley TV. Antimicrobial activity of the essential oil of Melaleuca alternifolia-A review. Letters of Applied Microbiology, 1993;16:49-55.